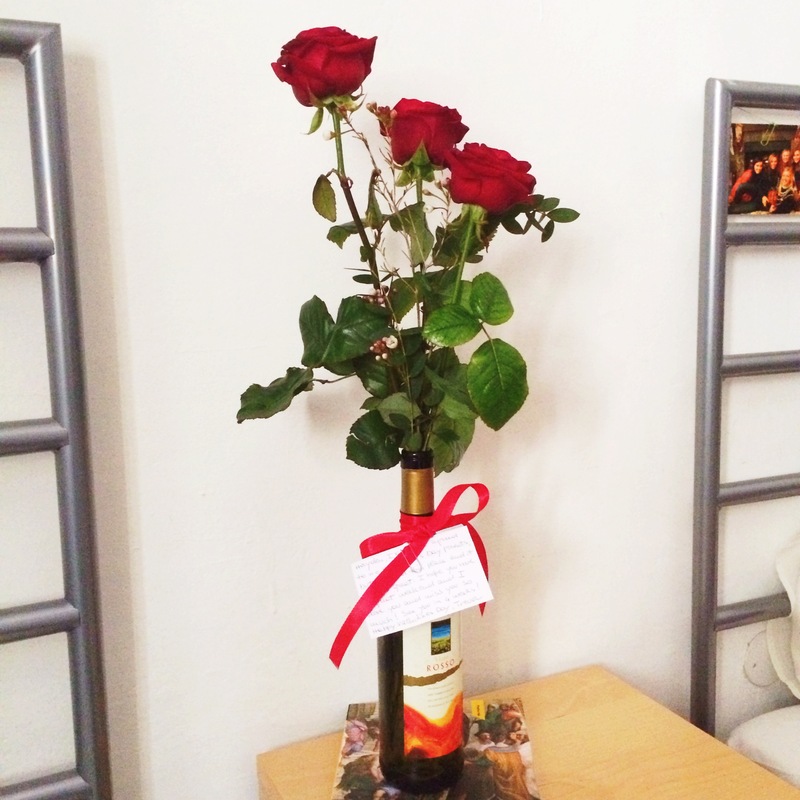 Since it is one of the most romantic countries in the world, Italy of course loves Valentine’s Day. Being thousands of miles away from the people you love didn’t make Valentine’s Day the most welcomed holiday but we still celebrated with Italy. 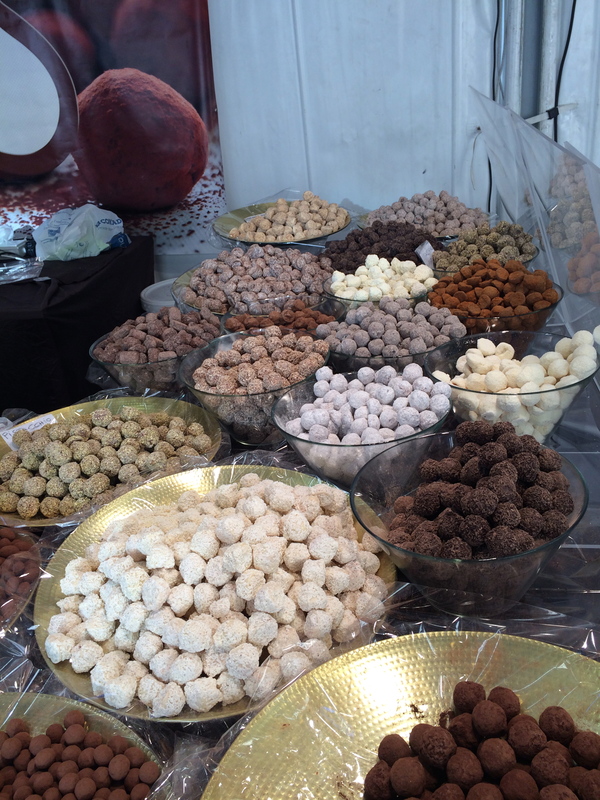 This past week there has been a chocolate festival in Florence with booths of all the best chocolatiers in Italy. We all got ourselves some “Happy Valentine’s Day to Us” chocolate. It has been nice that all of my roommates have boyfriends back home too so we all are in the same boat. They had any type of truffle you could have ever wanted. After two weekends of traveling, we decided to have a more laid back weekend. 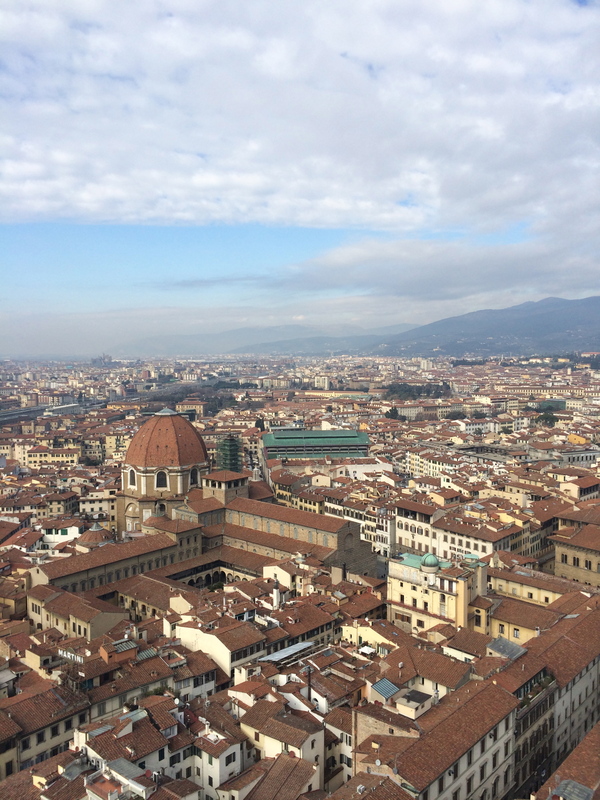 Friday, we checked some things off our Florence Bucket List. 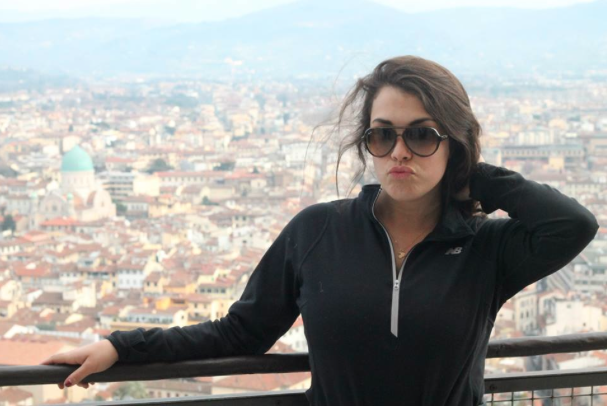 We climbed the 500 stairs to the top of the Duomo and the 450 to the top of the tower. The views from the top were gorgeous. It was nice to be able to recognize places from so far up. It was a good reassurance that I am slowly but surely learning my way around the city. I live right beside the big green roof. After our workout for the day, we rewarded ourselves with fish pedicures. I have wanted to do this for years and yes the Kardashians did it but I wanted to do it long before they did it on TV. It was a weird feeling when I first put my feet in. After a few seconds you get used to the feeling of little fish sucking on your toes. 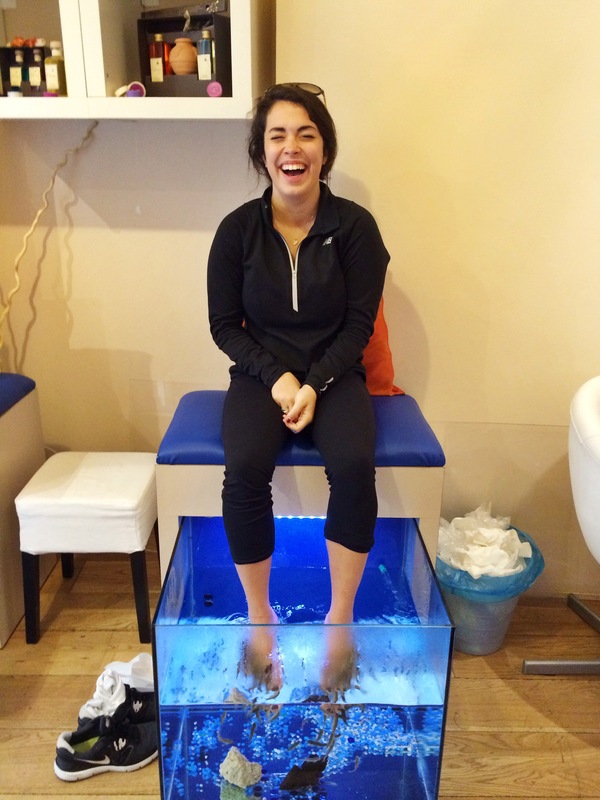 Unfortunately the place we went didn’t do full pedicures so it just consisted of the fish eating dead skin. I should have known when she told us the price because that would have been by far the cheapest pedicure I would have ever gotten. 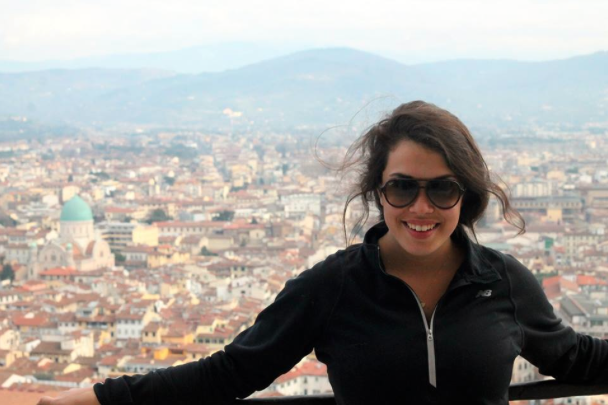 Valentine’s Day came a little early to Florence and it was a great surprise. It made me feel extra special because none of my roommates or any of the girls on our day trip to Verona got anything from their boyfriends. My room is now a little brighter with these flowers beside my IKEA boy bed. 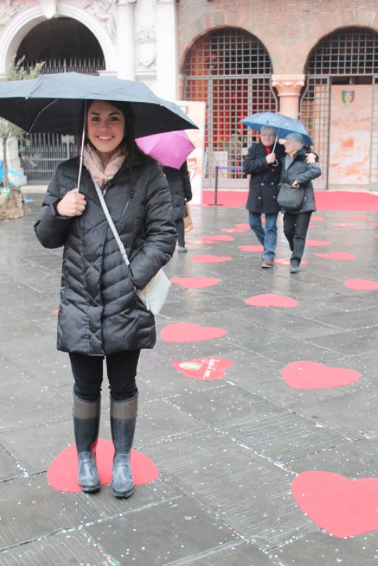 Every year Verona, the city where Romeo and Juliet took place, has a huge Valentine’s Day celebration. We took a day trip there with another tour group. It of course rained because it rains almost every day in Italy. There were so many couples and it made me sad to see everyone being lovey dovey. Italians are all about the PDA. While there, we went to see Juliet’s house. 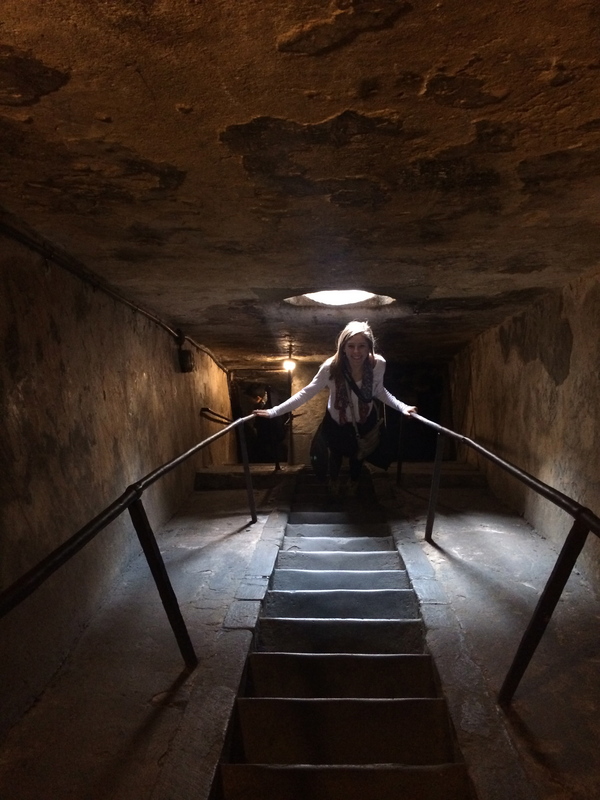 In the tunnel leading up to her house, people had posted letters all over to cover the entire wall. There is a group of people that will read the letters and write back to people if they give their address.